Of all the vitamins I take on a day-to-day basis, I will admit Vitamin B-12 baffled me the longest. I wasn’t sure why I had to take it in the first place and why I had to take it in a specific way (more on that in a moment). If you’re anything like me, understanding the why is important to compliance. So with that, I’m imparting what I’ve learned about Vitamin B-12: what it is, how the body gets it, and why it’s important after weight loss surgery, especially to fellow Roux-en-Y gastric bypass patients! I hope this helps you better understand this vitamin – and to stay on top of taking it if you need to! While it’s important for every human being to take in enough vitamin B-12 for optimal health, it’s especially important for weight loss surgery patients because of the overall reduction of food intake. But, as the American Society of Metabolic and Bariatric Surgery (ASMBS) tells us, Vitamin B-12 deficiencies appear to be most common for people who have undergone Roux-en-Y gastric bypass surgery. Now let’s divert for a moment and talk really quickly about how our bodies get Vitamin B-12 to begin with. This is an important point. Vitamin B-12 is only found in sources of animal protein. That includes meat like chicken and beef, seafood, and animal protein by-products, such as dairy. In order for our bodies to use the vitamin, we need something called intrinsic factor (IF). Remember when you were little and went on your first field trip and your teacher put you with a buddy and you weren’t supposed to go anywhere without the buddy? Think of intrinsic factor as Vitamin B-12’s buddy. The vitamin attaches to the IF in order to get carried around your system and used. IF is produced in the part of the stomach typically sectioned off during a Roux-en-Y gastric bypass surgery. For Vertical Sleeve Gastrectomy patients, they still have some of that part of the stomach but their production of IF is diminished after surgery. 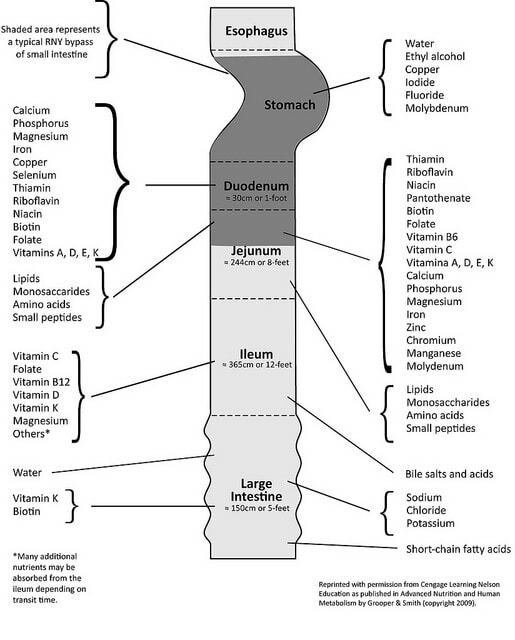 Here’s a nifty chart my friend Pam at Journey to a Healthier Me made to show us where various nutrients are absorbed in the digestive tract. 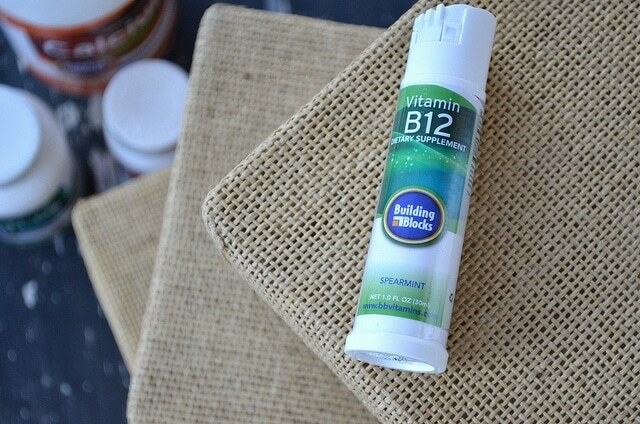 So what’s the best way to supplement Vitamin B-12? What vitamins should RNY patients take? What vitamins should VSG patients take? What vitamins should Lap-Band patients take? What vitamins should Duodenal Switch patients take? For the purposes of this article, we focus on the Roux-en-Y because the recommendations related to that surgery specifically call for vitamin B-12 and also have recommendations on how it should be taken. This is not to say that you won’t ever need to take a B-12 supplement if you are a VSG, Lap-Band or DS patient. That would depend on your individual labs and should be discussed periodically with your bariatric surgeon and primary care physician. At your local store you’ll find two main forms of vitamin B-12: swallow pills and sublingual pills. In addition, vitamin companies (especially those that serve bariatric patients) sell vitamin B-12 in other forms (nasal sprays, injectable, sublingual pills and mouth sprays, which is what I will review in a moment!) If you are a RNYer or sleeve patient, HEADS UP! 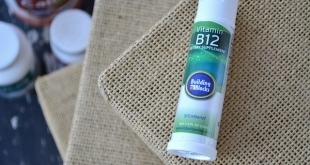 How you take Vitamin B-12 does matter. 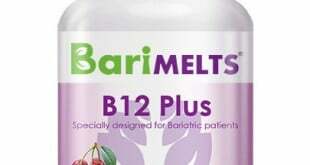 For Roux-en-Y gastric bypass patients, the ASMBS says, “Vitamin B-12 is very poorly absorbed when swallowed as a pill. Therefore, it must be taken in a very high daily dosage if taken in this form. There are other alternative forms for B-12 administration which includes monthly intramuscular injection, sublingual (under the tongue) liquids or sprays, or nasal spray which more adequately enable absorption.” (Source) The current ASMBS recommendations for VSG (which are summarized here) list a B-complex vitamin (which includes B-12) as optional but doesn’t elaborate on how it should be taken. Simply put, this means that Roux-en-Y patients don’t absorb B-12 very well from a simple swallow pill. Your chances of absorbing improve with methods such as injections, sprays and sublingual supplements. The ASMBS recommends Roux-en-Y patients take 350 mcg to 500 mcg sublingual B12 daily OR 1000 mcg B12 injections once a month. How should you take your B-12? That’s a question that you should be asking your bariatric surgeon. If you are a Roux-en-Y patient, you should ask your surgeon when and how s/he recommends taking vitamin B-12 and when you should begin. In some instances your surgeon may advise you to take B-12 in a different frequency than the ASMBS recommendation, depending you both your labs (how low/high your levels are) and also your habits/lifestyle (if you are a person who might forget to take it once a month they may adjust the frequency to help make taking it easier to remember). Bottom line: Any adjustments to your vitamin intake should be discussed with your medical team. Also, bariatric patients should get their bloodwork done at least once a year (more frequently within the first two years) in order to monitor deficiencies. And that, my dear Foodies, is everything I know about Vitamin B-12! What happens if I don’t take my vitamins? Please also note that B12 is so important for pregnancy. I miscarried two babies and then got pregnant again and by some miracle midwife at ante natal had been to a lecture on pregnancy and bariatric surgery the day before and twigged what was wrong. B12 deficiency can cause spontaneous abortion. Started B12 injections that day and had 6 within 2 weeks and carried pregnancy to term. So please if you are thinking of getting pregnant after weight loss surgery get your B12 levels checked beforehand.